The Portfolio Accounts can be used to track unit trust fund investments and related fund distributions in multiple currencies. In this section we will discuss how to add, edit and delete fund distributions in your Portfolio Account. 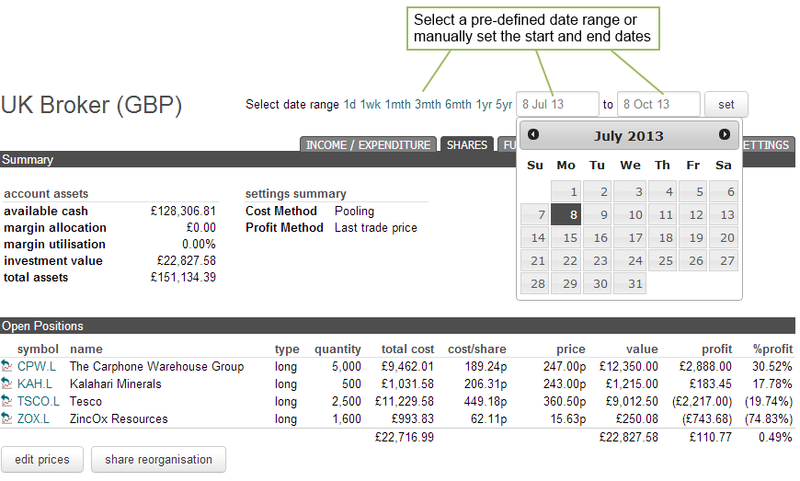 You can now enter the fund distribution details in the fields as illustrated in the following screen shot example. Symbol: Enter a unique fund id symbol for all related fund transactions and distributions to enable matching. Reinvested: Was the distribution reinvested - select yes or no. Net Dividend / Net Interest: Enter the net fund distribution received after tax credits. Enter the value in pounds (GBP), Dollars (USD), Euro (EUR) etc. Tax Credit: Enter the tax credit withheld on the fund distribution. 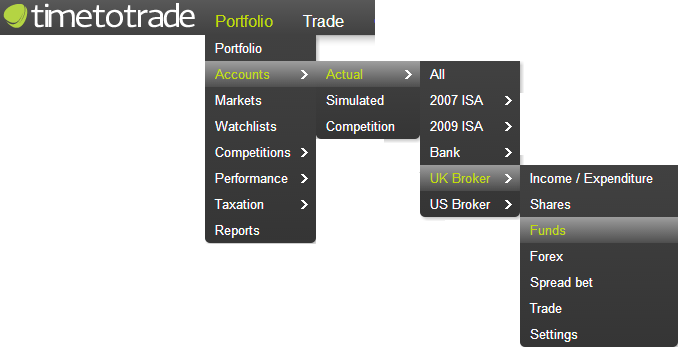 Enter the value in pounds (GBP), Dollars (USD), Euro (EUR) etc. Group 2 Unit: If you had an equalisation payment with Group 2 units issued, then enter the number of units received. Fractional values are supported. Equalisation Payment: If you had an equalisation payment then enter the value of the payment in pounds (GBP), Dollars (USD), Euro (EUR) etc. Total: This field can be left blank if the fund distribution values have been entered; in this case the total transaction value will be calculated. Alternatively the value can be overwritten. To save the transaction, click on the 'add' button. 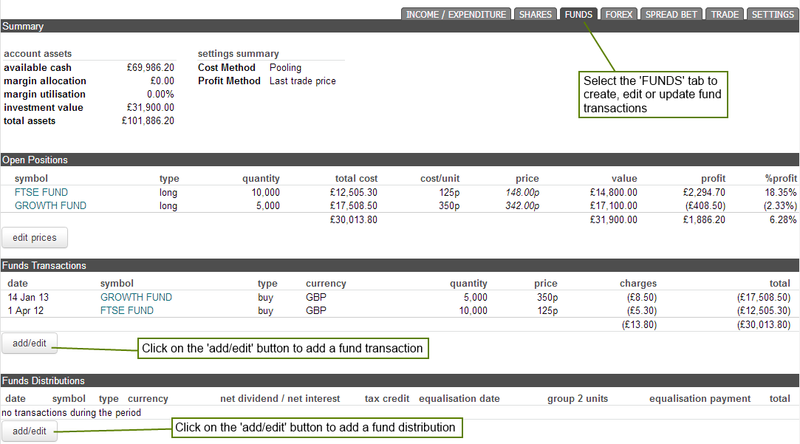 Once you have finished adding your fund distributions to the account, click on the "done" button as illustrated above.